I don’t know how to write anything other than things that are going to be uncomfortable. I feel such a strong desire to talk about things that could lead to conversations that evoke change. In the past three years, playwright Somalia Seaton’s feet have barely touched the floor. Since her debut play Crowning Glory [read review] put permanent waves in the modern drama sphere, the writer has been on a creative spin cycle. 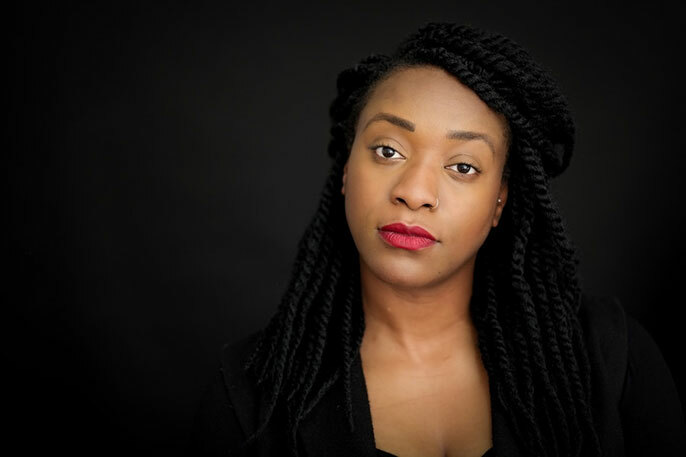 The writer has developed work for The Bush as part of her attachment to them and Talawa Theatre Company. She has also had work staged at The Yard, The Lyric and Soho Theatre. Despite her jam-packed schedule, Seaton has also managed to pursue her passion as an educator. The writer has acted as a mentor on various projects for emerging artists at the Lyric, Almeida and National Theatre. Seaton’s own voice has become highly audible to British audiences of late. This summer her play House in association with Clean Break will be touring at the Edinburgh Festival Fringe. The play exploring issues of religion, mental health and the criminal justice system will then be touring London in the autumn. But Scotland will have to wait, as Seaton is in Stratford-upon-Avon, preparing to debut her second full length work Fall of the Kingdom, Rise of the Foot Soldier. 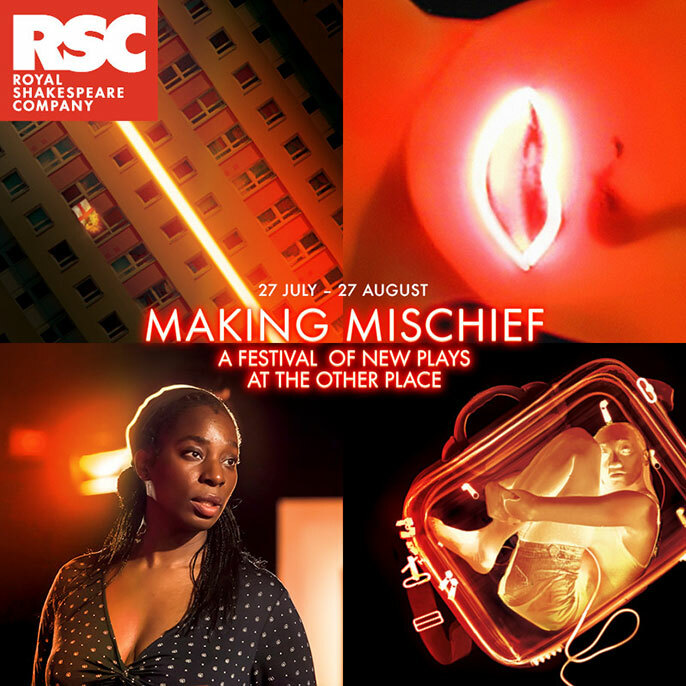 Seaton’s political play is showing as part of the RSC’s Making Mischief festival, being shown at the Other Place Theatre. As founder of motivational youth initiative No Ball Games Allowed, Seaton has spent large amounts of time in schools. As such, the trained actress firmly believes in education as the individual’s foundation for their future. Whilst Seaton avoids revealing too much about the narrative, she is forthcoming when describing her inspirations for the piece. The British Nigerian and Jamaican artist goes on to explain that this opened up various other conversations and debates. Seaton explains that current events also influenced her writing decisions. The writer has never been one to shy away from controversial topics. Her previous works have touched upon subjects of gender, race, beauty ideals and poverty. Seaton’s clearer vision and dedication to her work has enabled the writer to commit to her writing full time, which she says was a big step. The artist laughs as she lists her previous job roles, which include duty free perfume spritzer and a life model for a ‘Check your Breasts’ campaign. This being the second time I’ve interviewed Seaton, I notice she seems more forthright and if possible, even more motivated than three years ago. Most strikingly, the artist is a fascinating mix of jovial warmth and vehement socio-politicism. This desire to evoke change is something Seaton shares with the play’s director Nadia Latif [read interview]. This being the first time the pair has worked together; Seaton shares her admiration for the director: “Nadia is so dedicated to her work. The number one concern when you’re approaching a play is ‘Is this director going to be as passionate about the subject matter as the writer? Are they going to care about it as much?’ Nadia, cares, she wants to have the conversation. We both have different objectives, we come from different places which I think is important. But fundamentally we’re passionate about these topics that the play explores." Naturally, the indefatigable Seaton is on a tight schedule and has to hurry back to the rehearsal room. I have left her with a mere ten minutes of her lunchbreak, and she’s barely time to grab a sandwich. Before I let Seaton hurry back to work, I ask her why people should come and see Fall of the Kingdom, Rise of the Foot Soldier.